St Tropez. The Ultimate Tanning Kit. 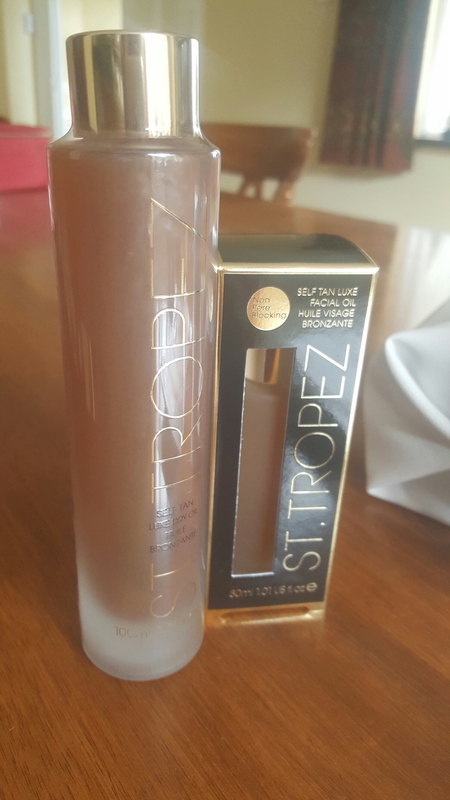 I really feel like I’ve struck gold with St Tropez this week. The UK website had an offer I couldn’t refuse: Spend £25 on their lush products and recieve a really fabulous gift. Plus a generous sample. I decided on the luxury tanning oil and face oil combo. The set retails for £40. (it includes a tanning mitt) I really love this stuff. I remember buying it on the very day it came out. I was totally suckered in by the Lemongrass fragrance of it. Fresh, summery and totally intoxicating. Now, I must point out, this is not an easy product to work with. It takes practise. It’s like trying to apply a brown shimmery water. The mitt is a must have, as it is almost impossible to apply without it. However once on your skin, it’s very quick drying and looks amazing! The facial oil is slightly tinted. It’s non pore clogging and has good skin benefits. I personally wouldn’t put this on during the day. I always sleep in this. It’s rich, like an oil treatment product. And my skin felt lovely after I’d slept in it. Now on to the freebies. I received as the gift, a super little bag, that is going to be great for storing my tanning mitts. A generous sample of the Tanning Mousse. Plus a generous sample of the new Tinted Gradual tan that I’ve previously reviewed and an extra mitt. 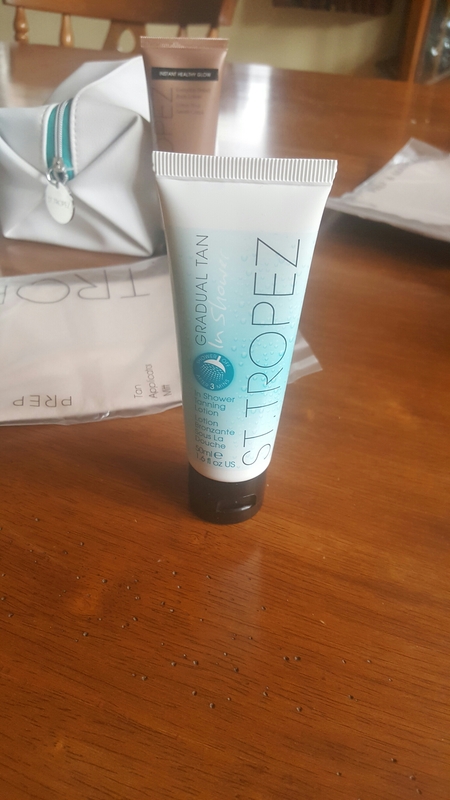 Then as an sample bonus I received the Gradual Shower Tan. Which I will endeavour to try out when the weather gets warmer. Overall, to say that I just spent £40. I got a really good bundle. And because I also subscribed to their newsletter they’ve given me 10% off my next online purchase. I’m utterly delighted. Previous PostJean Paul Gaultier LTD Edition ‘Betty Boop’ Eau Fraiche.Next PostCreme De La Mer: Luminous SkinColor Review. Sisley-Paris Beauty Subscription April. La Vie En Rose! Sisley Double Tenseur & Instant Perfect Skin Primer.